Born in Rome in 1965, Riccardo Luna is editor in chief of Agi Agenzia Giornalistica Italia since October 2016. He is the Italian protagonist in the transformation of journalism in the digital age: from 2014 until last summer he was Italy's Digital Champion, a figure responsible for leading national initiatives to “help every European become digital”. 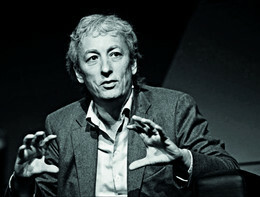 In 2009 Riccardo Luna has promoted the candidacy of the Internet for the Nobel Peace Prize; in 2012 he has founded Wikitalia, the association that endeavors to promote transparency, open data and participation in Italian politics using the internet; he is vice president of Make in Italy Foundation since 2013. He has worked for the most important Italian newspapers, such as Repubblica (for more than 10 years), and he founded and has been editor of three magazines: "Campus", "Il Romanista" and "Wired", the online magazines "CheFuturo!" and "StartupItalia! ", outlets and community dedicated to startupper. He was the editor of the Cotec Foundation Report on Innovation in 2009, 2010, 2011 and 2016. In 2013 he was awarded the "Lagrange Prize" for the diffusion and promotion of the culture of complexity. He also teaches at Scuola Holden. He is a member of the advisory board of "Matera 2019". Luna is a presenter of tv and radio programs and he is a protagonist of several initiatives and connected events in the world of digital start-ups.